Manage your commercial SSL’s from within your Cartika Accounts Portal. All renewals, notifications and general management are centralized for your business. We’re storing more and more data online, and that data is becoming increasingly sensitive. If you’re not protecting your data with encryption, then you’re potentially handing private information to cyber-criminals. Not only is that incredibly damaging to you personally, but it can also destroy any goodwill you have with your customers. SSL is one of the ways you can protect yourself: SSL encrypts data passing from one point to another (such as between your website and a visitor’s computer). You need SSL certificates if your site sends or receives sensitive data, if you ask your users to log in, or if you want to increase users’ trust in your site. Implementing SSL can also improve a site’s SEO: Google prefers to send its users to secure sites. Don’t worry—we’re here to help. With Cartika, you’ll have access to some of the best, most trusted SSL providers in the world. Order now and secure both your website and the trust of your audience. True to its name, RapidSSL takes mere minutes to set up. After your order is placed, certificates will be delivered to you lightning fast—at which point installation is a breeze. This is a great choice if your website is just getting started. Available at a low-price, this value-branded SSL certificate will be ready for you to use within ten minutes. This value-priced SSL Certificate includes both an extended warranty and a dynamic True Site Seal. Even better, it’ll be delivered to you in minutes once you’ve placed your order – and be ready to use even faster. Need your customers to hear that they’re protected? Then this is the certificate to use. With GeoTrust’s True BusinessID, your visitors will know that your site is both secure and trustworthy. A step up from the standard True BusinessID certificate, this SSL solution is designed for sites that demand only the best regarding security. Set your site up with this, and both you and your users can rest easy knowing their data is fully encrypted. 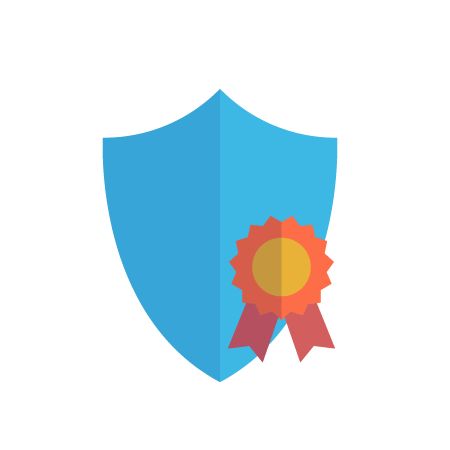 Enhanced verification (EV) adds an extra level of trust because the certificate authority requires proof of your identity. EV certificates trigger the green bar on a visitor’s browser—signifying the highest security possible. This SSL certificate is more or less identical to the Extended Validation certificate, with one difference—you can use it to secure an unlimited number of subdomains. Need to send information securely over the web? Purchase a VeriSign certificate. With a $100K warranty and full validation, you won’t find a better, safer choice. Plus, it’s a brand everyone knows and trusts. Need to send information securely over the web, but want better insurance in the event that things go south? Purchase a VeriSign Secure Site Pro certificate. With a $250K warranty and full validation, you won’t find a better, safer choice. Plus, it’s a brand everyone knows and trusts. If you want your customers to be entirely confident that their information is safe, then this certificate is a perfect choice. Not only does it trigger the green bar in high-security browsers, but it’s also a brand everyone knows and trusts. In short, you’ll have the complete confidence of your audience, and that’s the most valuable asset your brand can possess. Verisign’s Secure Site Pro EV comes with a warranty of $250K, rather than the regular $100K. Before we’re able to issue a certificate, you’ll need to generate a Certificate Signing Request.